Under-projection of the cheekbones leading to flatness of the cheek areas immediately below the eyelids can give an unattractive appearance. Fullness of the upper gives a healthy youthful look. Adequate skeletal projection of the cheekbones gives better support for the soft tissues of the cheeks. This is important to facial aesthetics. 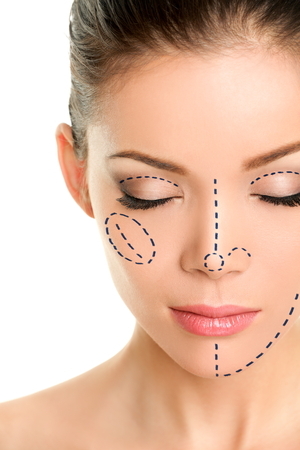 Cheek implants can address these concerns by enhancing bony skeleton projection of the cheek. As we age loss of cheek soft tissue bulk occurs and use of fillers and face lifting techniques all can help to rejuvenate the mid cheek area. However, if the bony skeleton of the cheek under-projects, augmenting the cheekbones with cheek implants can give a dramatic improvement in facial balance and aesthetics. Recent evidence shows that with advancing age, the structure and shape of the facial bones also changes. This also can result in decreased projection of the cheek region. What Cheek Implants Does Dr Drielsma Use? The use of hard expanded polyurethane cheek implants are the best option and these are fixed to the cheek bones to prevent movement or migration. Dr Drielsma inserts the implant The implant through the upper gum of the mouth or sometimes via the lower eyelid. He then fixes the implant to the underlying cheek bones with small titanium screws. Dr Drielsma also performs this surgery on its own or combines it with blepharoplasty (eyelift) or facelifting on an individual basis. The surgery is done under general anaesthetic and can be done on a day surgery basis. Swelling of the mid face is usual and most people would have around 2 weeks off work or out of public. Further, complications are uncommon and include infection and asymmetry. Dr Drielsma requires a full assessment and examination to advise suitability for surgery. For further information, contact Dr Drielsma today!